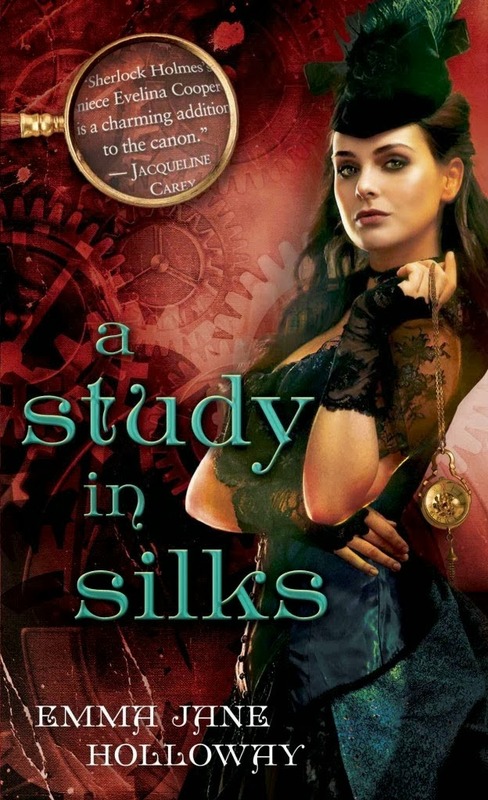 The heroine of the Baskerville Affair trilogy is Evelina Cooper, the niece of Sherlock Holmes. The final book, A Study in Ashes, is partially set in Dartmoor, where the original The Hound of the Baskervilles takes place. Along the way, we get political intrigue, murder, magic, automatons, romance, wandering spirits, and a satisfying number of steampunk-inspired explosions, because Evelina’s world is heading into an all-out war. Holmes and Watson are secondary characters through most of the stories. These are Evelina’s stories, and Holmes has his own cases to solve. However, he gets more drawn in as the so-called Baskerville Affair unfolds and eventually drags in poor Watson. Using Holmes as a character presents challenges. He loves to take over a scene, so keeping him as a secondary presence is a battle of wills. And, since I’m writing him to fit my story, representing him as the Sherlock we know but with a fresh twist takes a light hand. 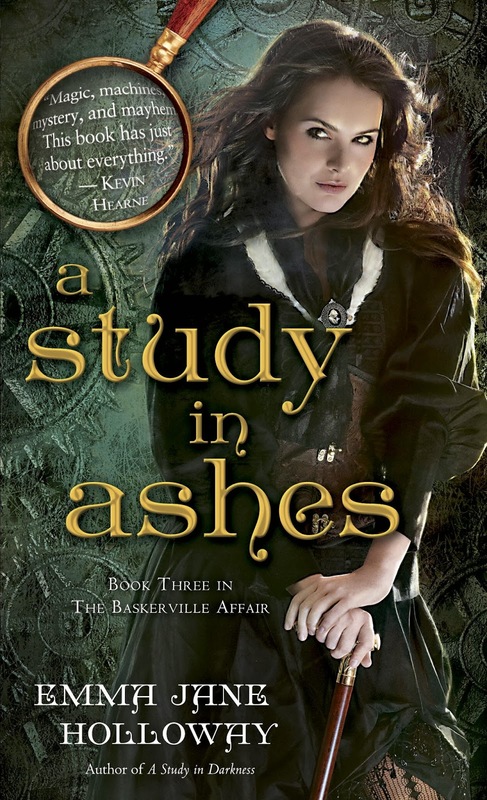 The other challenge came when I reached the third book, A Study in Ashes. I had to incorporate the hound, and I had to have a good reason for doing so. Those who know the original story well will pick up references to the prison, the murder, hiding on the moors, the geography of the hall, etcetera, but I in no way tried to precisely replicate Conan Doyle’s plotline. To do so would have detracted from the main thrust of the action—and produced a poor copy of the original. Without giving the story away, the hall and its denizens play a different and unexpected role. The one thing I kept was Dartmoor. Those who visit the wild, moody place either love it or hate it, and I’m a lover. 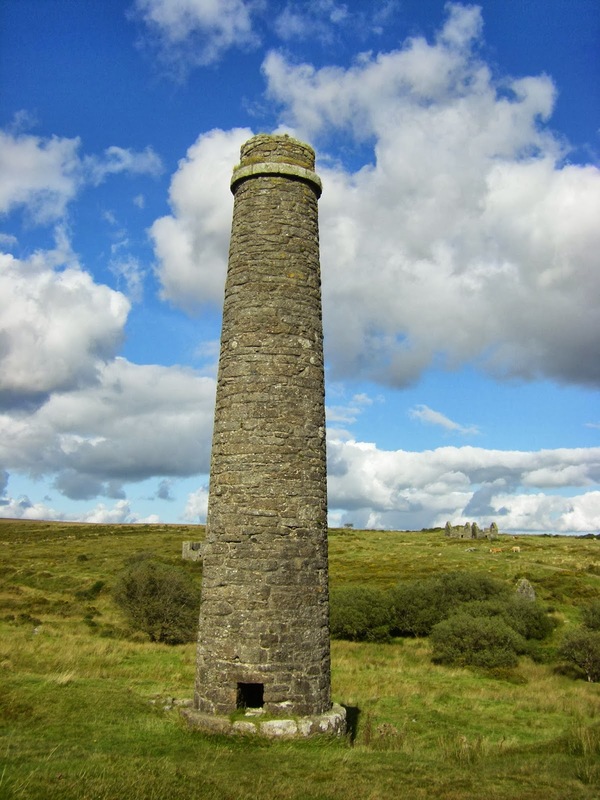 It’s a large park with tiny villages, moorland, and the remains of many prehistoric settlements. Sheep and cows are everywhere, as are wild ponies. I stayed near Postbridge on the East Dart River during early autumn, which is the same time of year A Study in Ashes is set. It’s also in the Bellever Forest area Conan Doyle stayed when he was writing The Hound. Finding inspiration for my book was easy. The nearby gunpowder mills site, with its ruined towers, is what I used for the setting of Her Majesty’s Laboratories (but altered to include more buildings and fewer cream teas). 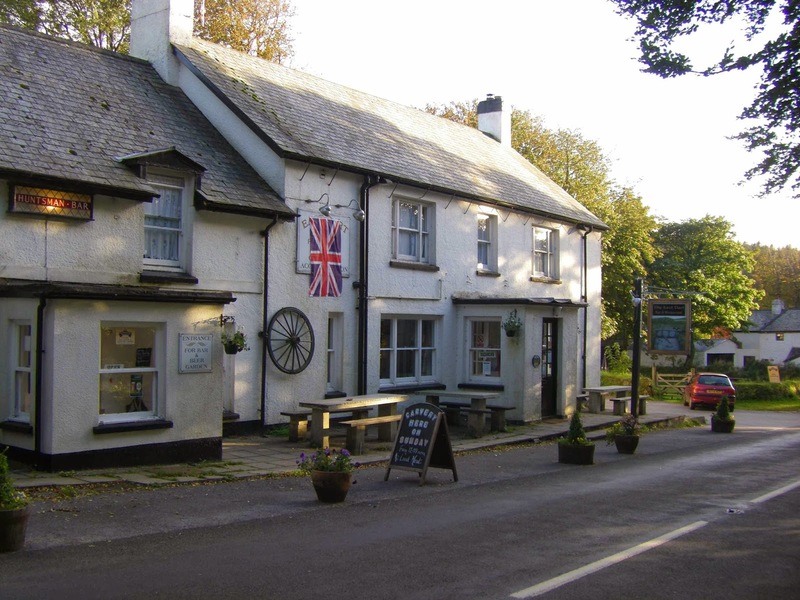 The East Dart Pub is where the Baskervilles meet to carry out their plot. That’s also where I encountered the local scrumpy, which is a thick, chewy apple cider that tasted to me like something only an air pirate could love. While my friend and I were at the pub one night, the bartender stopped by to regale us with the true and authentic tale of the original hound of the Baskervilles, which was told to Conan Doyle in that very spot. Or so he said. I will leave it up to each individual to determine the truth of the matter. According to our jolly barkeeper, the tale dates from the time of the temperance movement in the mid-nineteenth century. The wife of the pub’s owner convinced him to stop selling alcohol, but since that was bad for business and no fun, the publican would meet with his friends after hours and have a pint in the cellar. When the wife discovered he’d been smuggling in drink, the townswomen rolled the offending barrels out into the streets and smashed them. Beer poured in rivers down the cobbled lane. A large wild dog that had been roaming the moors came along and drank its fill of the offending liquid. It then ran wild, mauled some sheep, and finished by drowning itself in the East Dart. An acquaintance told Conan Doyle about the incident, and the idea of a savage dog roaming the moor got folded into his tale. So there you have it: Sound evidence as to why you should avoid temperance at all costs. But keep your pets sober and your powder dry. ** Visit my web page and look for free short stories and excerpts from the Baskerville Affair universe. Find the author on Facebook as well. 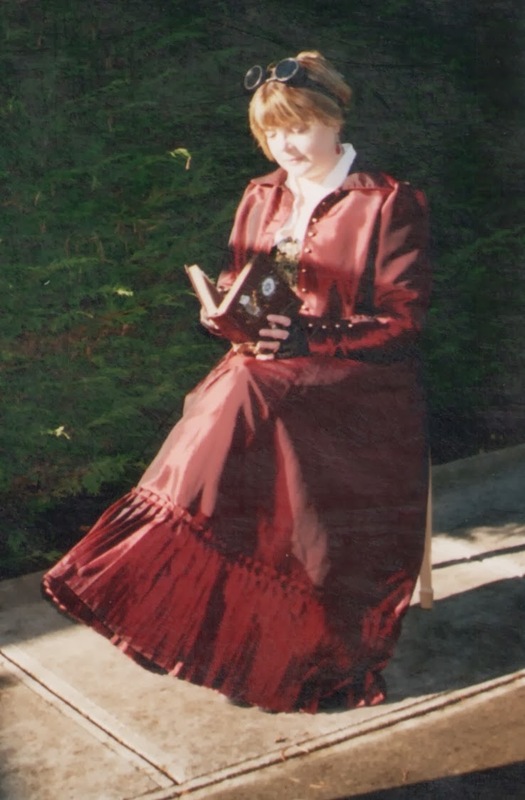 AUTHOR INFORMATION: Ever since childhood, Emma Jane Holloway refused to accept that history was nothing but facts prisoned behind the closed door of time. Why waste a perfectly good playground coloring within the timelines? Accordingly, her novels are filled with whimsical impossibilities and the occasional eye-blinking impertinence—but always in the service of grand adventure. NOTE: Author picture and all other pictures courtesy of the author.